Aetna Inc. is a managed health care company based in the United States of America and a member of Fortune 100. It was founded in the year 1853 by Eliphalet Adams Bulkeley. It specializes in the provision of a wide range consumer directed and traditional health care products and services such as medical services, pharmaceutical, dental services, long term care, group life, behavioural health medical management capabilities and disability plans. It is a public limited company with its shares being traded at the Ney York Stock Exchange. It has a total employee population of about 33,000 with its headquarters located at Hartford, Connecticut, in the USA. There are currently 1 consumer reviews about Aetna Inc available. Share your review. You have the worst customer service, and Aetna doesn't seem to know how to process a claim. 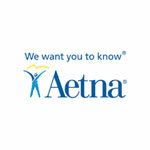 Please take a note that you are about to post a public review about Aetna Inc corporate office on CorporateOffice.com. This review will be public, so please do not post any of your personal information on this website. If you would like to contact the corporate offices of Aetna Inc, please use their contact information such as their phone number, website, and address listed above to contact them. However, sometimes staff from Aetna Inc headquarters do read the reviews on this website.